The quote that leapt out at me is: “Procrasti-learning is real, and it can destroy you.” I’ve been guilty of this many times and am working to keep myself accountable and productive. The problem is, there is always more to learn, and it’s so easy to get stuck in a cycle of learning and not actually do anything. One of the ways around the problem is to: “limit yourself to a few options, do your due diligence, and choose. Give yourself deadlines for each step of the process.” I like this concept as it narrows the focus and gets you to a decision much sooner. What other ways have you found to avoid procrastination? How The Government Made Us Fat and Sick! This article makes a heap of sense in my way of thinking. The hormones in our body are there to regulate so many of the functions our body relies on every day. It is also great to see modern science recognising the ancient wisdom of intermittent fasting. I met Cheryl Edwards from NZ when we volunteered together at a conference over the weekend. 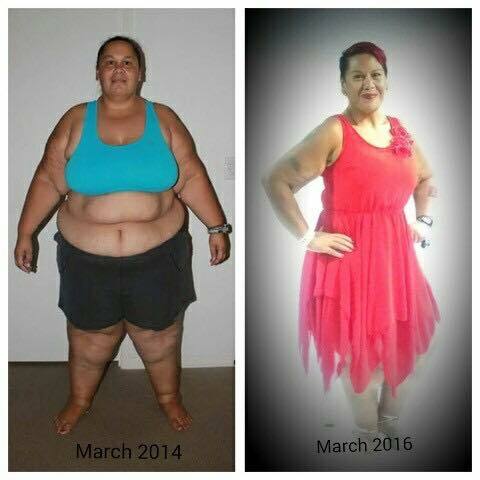 Cheryl is an absolute hero after releasing 91kgs/ 200 pounds! That’s more than I weigh! Now.. Just stop and think about what that would take, habitually, physically & mentally… That’s EPIC Weight Loss! 6 weeks ago I signed up to start my transformation with the IsaBody Challenge (again). I have had a great start, but this time I’ve a step further and a few days ago Xscan Body Scan done to see where I was at, but also to compare to when I finish in 10 weeks. 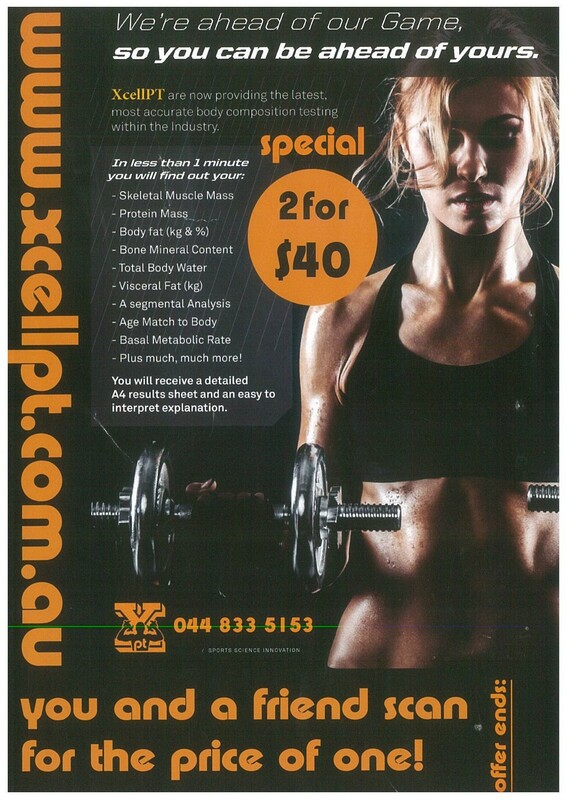 Thanks to Tony from xcellpt.com.au for his great special price on the scan. I’m a little over weight @87.8kg, “ideal” is 79.5kg for my height. No surprise there. 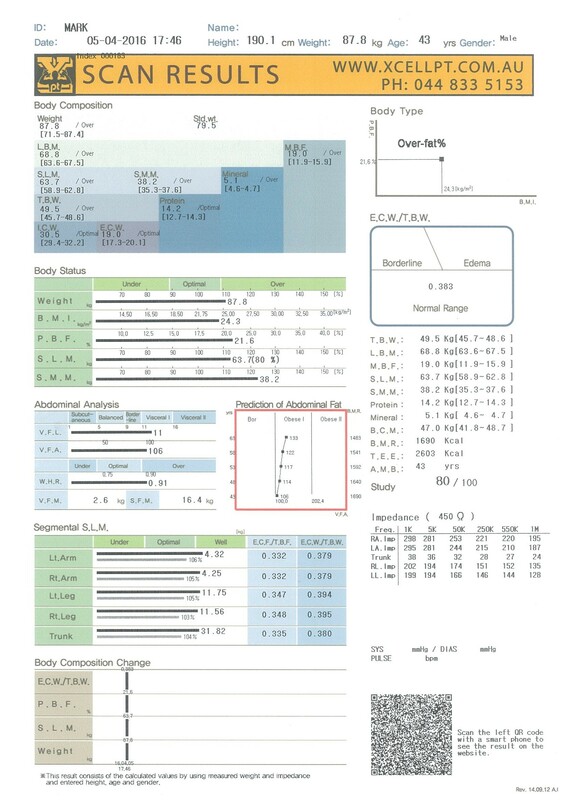 My Percentage Body Fat is 21.6 (down from 24.5 on a cheaper set of scales during week 1) 10-20% is considered healthy. 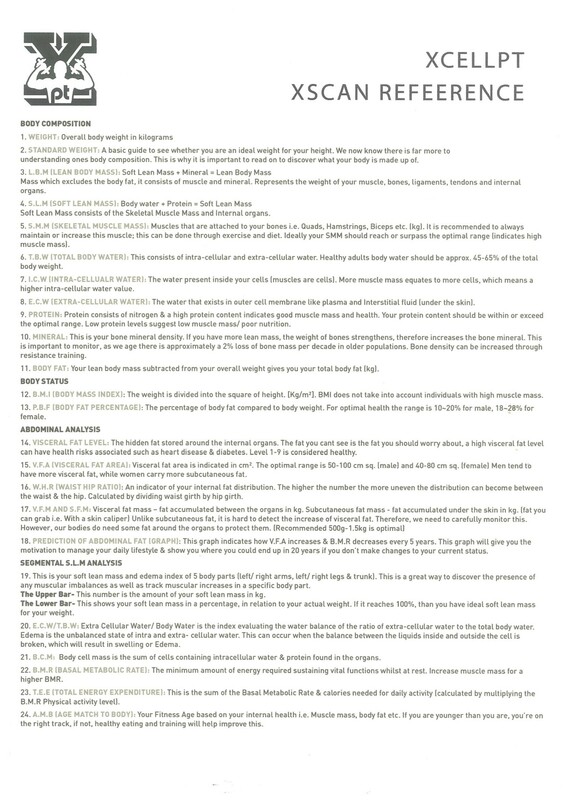 Another interesting stat is Visceral Fat Level (Fat around my organs) which is at level 11 with 1-9 considered healthy. Visceral Fat Area is 106cm², and should be 50-100cm². The scan was a wonderful learning experience, I can’t wait to post my final transformation results. I saw this video this morning, and it really spoke to me.